ETTU.org - Seamaster 2018 ITTF Austrian Open: Who will reach the World Tour Grand Finals? Seamaster 2018 ITTF Austrian Open: Who will reach the World Tour Grand Finals? Who will be in Incheon in mid-December and who will be missing out? The question that has persisted for almost an entire calendar year will be decided this Sunday upon the conclusion of the Seamaster 2018 ITTF World Tour Platinum, Liebherr Austrian Open. With the competition's preliminary rounds over, business can now begin in earnest at the four-day event (8-11 November) held in the Austrian city of Linz and the stakes have never been higher. When Sunday evening arrives, there's just one common statistic that will matter: who made the top 16 places in the Men's and Women's Singles categories and who were the eight highest ranked pairs in the Men's Doubles, Women's Doubles and Mixed Doubles categories. In short, who made it to Korea? Nine male and 10 female players have already booked their spots for their respective Singles categories at the World Tour Grand Finals. By participating in Linz, Chinese quintet FAN Zhendong, LIN Gaoyuan, LIANG Jingkun, ZHU Yuling and CHEN Meng will also be on the plane by reaching the minimum required five World Tour events. That would leave four places available in each category going into the Main Draw, whilst it's all to play for still in the three Doubles categories as well. Top seed and eventual champion at last week's Seamaster 2018 ITTF Swedish Open, FAN Zhendong once again enters the Men's Singles competition at the summit of the draw where he will meet Italian qualifier Niagol STOYANOV. Germany's Dimitrij OVTCHAROV, seeded fourth, also contests the upper half of the draw, beginning his campaign against Chinese Taipei's LIN Yun-Ju. 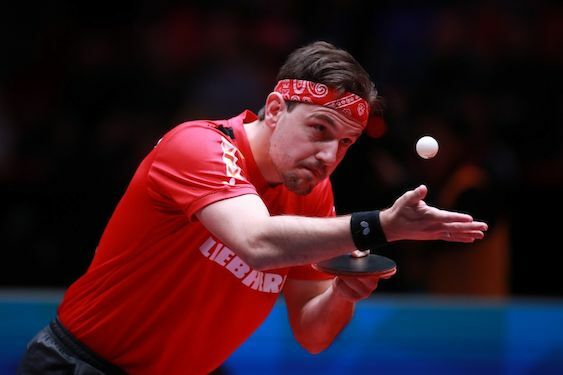 There are also several eye-catching contests between compatriots: JANG Woojin is seeking revenge against fellow Korean LEE Sangsu, who emerged victorious in their previous meeting at the Seamaster 2018 ITTF China Open in June, second seed XU Xin will take on fellow Chinese representative LIU Dingshuo, and there is also an all-German fixture between Timo BOLL and Patrick FRANZISKA. In the Women's draw, there's an enticing all-Japanese match on the menu between Miu HIRANO and Hina HAYATA, the former leading their ITTF World Tour head-to-heads 4-3. Meanwhile, the host nation's highest seed Sofia Polcanova takes on Chinese rising star SUN Yingsha, as Romania's Bernadette SZOCS gets set to face Japan's Hitomi SATO for the first time in two years. JANG Woojin and Cha Hyo Sim, from Korea Republic and North Korea respectively, will be making their first World Tour appearance since winning the Seamaster 2018 ITTF World Tour Platinum, SHINHAN Korean Open in July, thus boosting their chances of qualifying for the World Tour Grand Finals on familiar territory.